Olive Oil: Your Skin’s New Best Friend | Remove Skin Tags Now! When it comes to beauty and skincare, we love to experiment with a lot of things especially when it comes to natural remedies. Your skin is the first thing people see and it also serves a crucial function in protecting your body from diseases, so you should not hold back in pampering it and giving it the loving and attention it needs. You can only either go all out or go natural when caring for your skin. Remember that whatever you apply on your skin is absorbed by your body, so you got to be careful in choosing the types of products you use. As much as possible, use natural ingredients because they are safer to use. More often than not, you can already see them in your pantry and kitchen helping you save a lot of cash rather than splurging on expensive skin care regimens. This kitchen staple is one remedy that can also be found in your kitchen: olive oil. The use of olive oil in enhancing your appearance is actually an ancient practice that even Cleopatra herself swears by it in her heydays. This luxurious oil is rich in anti-oxidant that fends of free radicals and is also hydrating too, so you’re left with soft and moisturized skin just like that of a baby. Other ingredients found in it is vitamin E that keeps the skin healthy even that of your nails. Aside from pampering your skin, you can also use it as a remedy because if you don’t know it yet by now, olive oil can help soothe dry, itchy, or inflamed skin, so you are both relieved of the pain and discomfort and left with healthy, smooth skin after. Olive oil also works great as an exfoliator that you can use to get rid of cracked heels, even that of chapped lips. It is also multifunctional as you can use it to remove makeup if you don’t have a makeup remover on hand or even double as a shaving cream and leave you with real soft legs sans the annoying hair. People also rave about its anti-aging properties mainly because of the antioxidants and polyphenols it contains, making olive oil an all-around skincare remedy that you can afford but still deliver the results you are looking for. Exfoliation helps remove dead skin cells, allowing skincare to better absorb into skin. And to make your exfoliation routine extra effective, simply add a few drops of olive oil to your usual scrub for a soothing and moisturising boost. Or to make an all-natural scrub, simply mix a half cup of brown sugar, a half cup of olive oil and a few drops of your favourite essential oil together in a bowl. 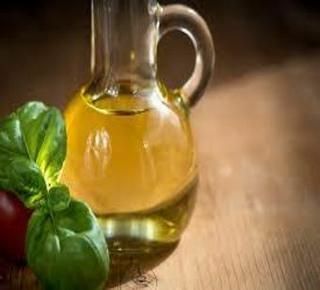 Olive oil not only moisturizes and fights off bacteria especially the ones responsible for the unwelcome zits on your face but it also boasts of anti-cancer properties as well. You can use it plain or added with other similar natural ingredients like lemon and sugar for exfoliation but you can also purchase commercial skincare products infused with olive oil especially if you can’t tolerate the extremely sticky feeling (of course, it is an oil). If you can find one, choose extra virgin than the regular types of olive oil and never forget that olive oil is a heavy oil and you either need to rinse it properly or wipe it off completely to let your skin breathe and ensure all your pores are open.